Fish on a dock that is surrounded by clear to moderately clear water. 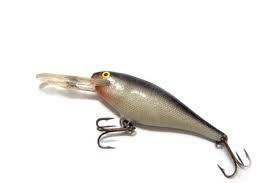 For fishing in front of the dock use topwater or spinnerbait. Fish on a sunny day. Fish on a dock that has bulrush patches or lily pads nearby. Summer time is the best time to fish on a dock. This entry was posted on Tuesday, May 3rd, 2011 at 10:30 am	and is filed under Baitcasting Reels, Lures, Spinning Reels. You can follow any responses to this entry through the RSS 2.0 feed. You can skip to the end and leave a response. Pinging is currently not allowed.